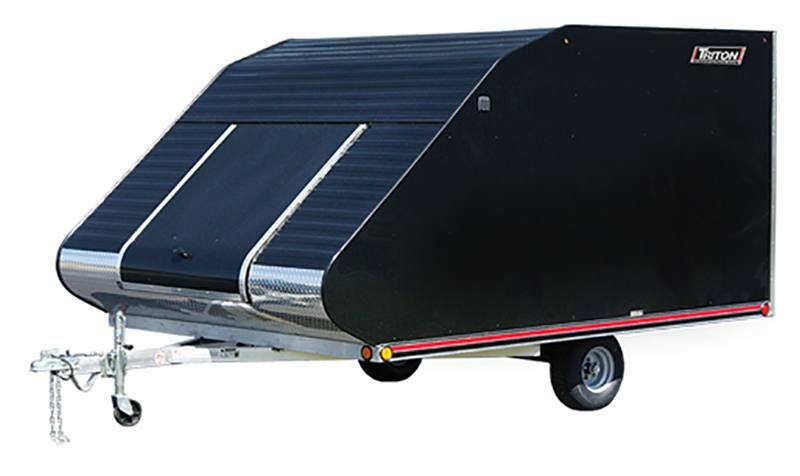 Triton TC Hybrid trailers provide the benefits of a fully enclosed trailer in an aerodynamic design, perfect for snow season and multi-season hauling. BULLNOSE PROFILE: Unlike angular designs, our front profile maximizes the usable interior space to accommodate long-track sleds and cargo. FOUR CORD RUBBER GALVANIZED TORSION AXLE: Designed for a smooth ride and corrosion resistance. 5/8” MARINE GRADE DECK: Fully treated marine grade plywood deck stands up to the elements for years of use. 4’X4’ FRONT DOOR: Largest front access door on the market provides easy access to machines and prevents debris on your clothes when leaning in. 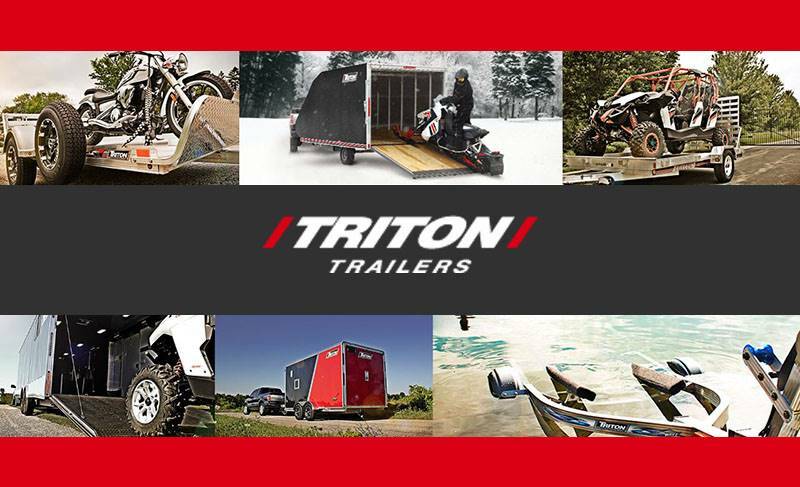 FULLY WELDED FRAME: The Triton difference – all-aluminum, fully welded lower and upper frame provides a solid structure for years of loading and unloading, unlike other hybrids with joined/screwed frame construction. DOUBLE-SEAL RAMP DOOR: Spring-assist rear ramp door with double seal prevents leaks, keeping cargo dry. Without Brakes - 2,000 lb. With Brakes - 2,005 lb. Without Brakes - 2,995 lb. With Brakes - 3,000 lb.